Children are being introduced to education programs at an early age, and while some may feel that this is throwing children to the fire much to early, there are plenty of benefits that we have seen in exposing children to education early on. Maybe the reason that so many people disagree with children attending school at a young age is that they’re envisioning their children stressed out from large quantities of homework while they’re only three or four years old, but that’s not the reality of it. Learning happens in a few different forms, and while homework will be a part of your child’s education one day, it won’t be at this age. At Strong Start Early Learning Center in Trumbull, we do our best to help your child learn and develop the skills that they’ll need to make it through life. We want to build them a strong foundation to move forward with. In our blog post today, we’re going to touch on a few of the benefits that you’ll see when you introduce your child to an early childhood education at a young age. Exposing your child to other children their own age is one of the best things that you can do. While they get some level of socialization being around their family and around friends, it’s not the same as spending time with children their own age. This is an excellent way for children to begin to understand friendships and how to treat others. It’s also an exceptional way to really get an understanding of your child’s personality. The sooner that children are exposed to socializing and children their own age, the more likely they are to feel comfortable in educational settings and develop self-confidence. Most children have a difficult time opening up their first few days, but once they’ve developed those friendships, school becomes something that they look forward to because of the socialization aspect. School is a part of our children’s lives. In fact, the education process often continues on into adulthood. Rather than work through a lack of passion with your child, it’s better to build an enthusiastic and excited outlook on the education process while they’re young. As young children, the early learning process begins with teaching them lessons that they will continue to learn in the following years, but it does so in a way that is both fun and enjoyable for your child so that they do look forward to coming back day after day. This is another piece of the foundation that we hope to build for your child. 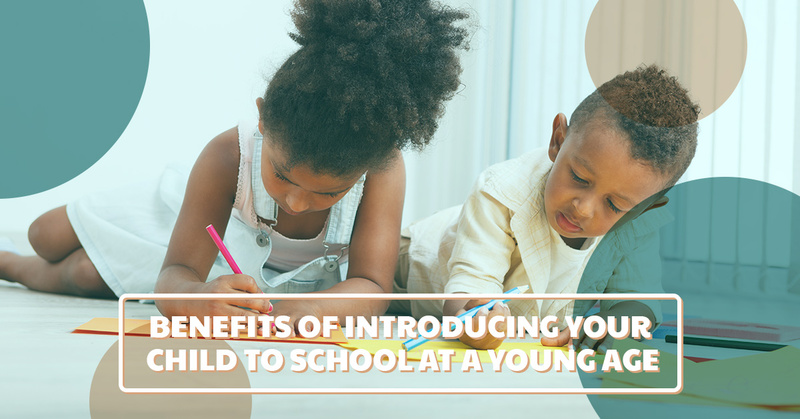 We’ve only mentioned two of the benefits to introducing your child to school at a young age, but we’re far from being done! Make sure to check out our next blog post that will continue the reasons that you should consider an early childhood education for your little one. If you have yet to visit our facility, contact us today or stop by and we would be happy to schedule a tour!